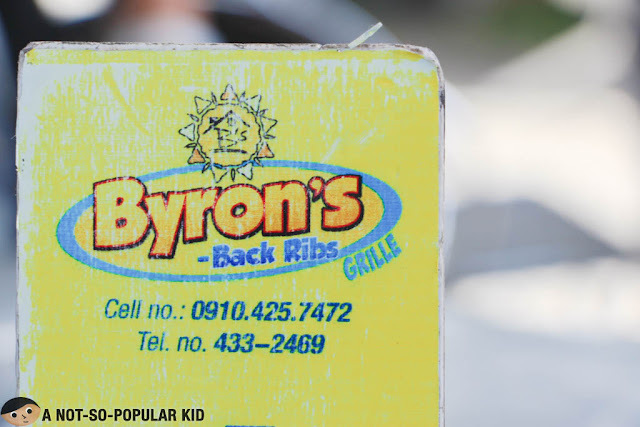 If you happen to travel to Bacolod, you should make it a point to really check this place out called Byron's. 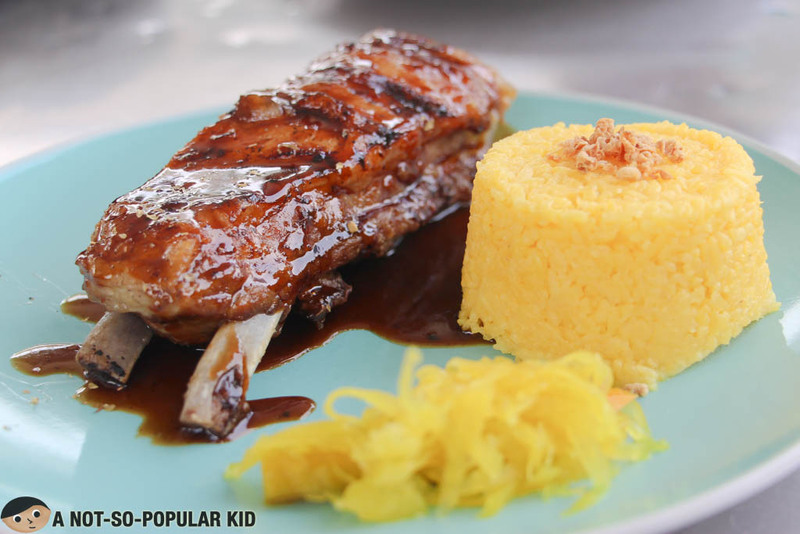 They are really famous for providing you with a delectable ribs without breaking the budget. In fact, you will be surprised how much one order costs. Here in this blog post, I will be featuring the ribs, so brace yourself, and keep calm. At first we were unsure if this particular branch is indeed the famous Lord Byron's, but we checked up online, and it is indeed a legit branch. However, we still don't know the reason why the word "Lord" is dropped in this case. I compared the logo as well with the original one, and the "L" was also dropped. Hmmmm. 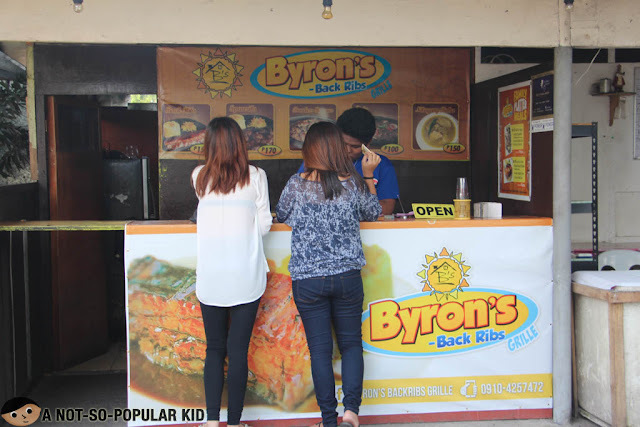 This Byron's that we visited is a new branch that is housed in the Food Park located on the 21st Street. It is like a mini-mercato there in Bacolod wherein you can find a number of concessionaires. 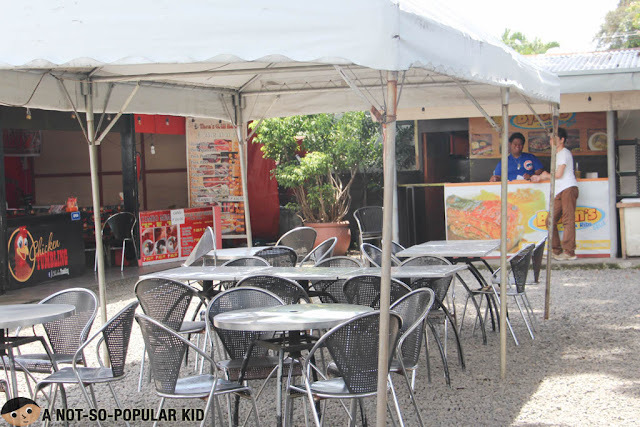 You will be catching the fresh air and the heat as you dine here al fresco! The ribs here in Byron's was really superb. Yes, hands down for its quality despite it affordability. I just loved how juicy and tender it was (from the sufficient layer of fat). 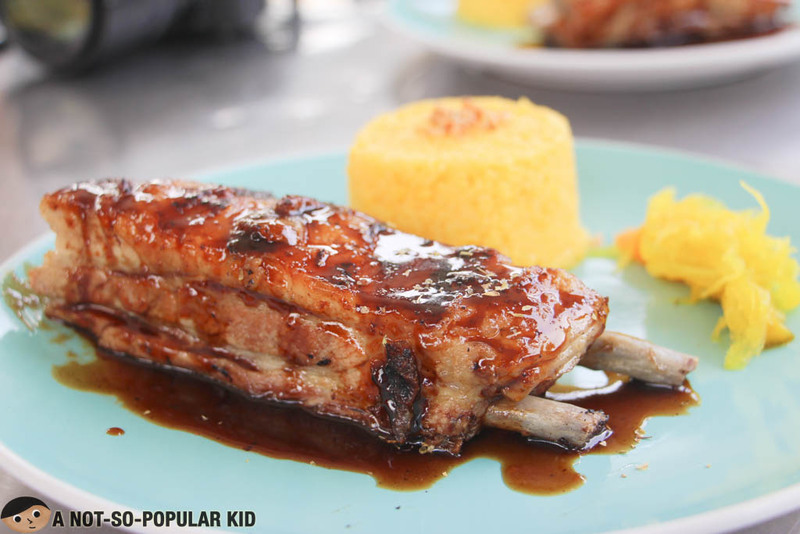 Each bite oozed with smokey, sweet and savory flavors that left a palatable impression. Two thumbs up! For those who eat lightly, one serving will be too much. Hence, I suggest that you have somebody to share with, and just order another cup of rice, if you wish. 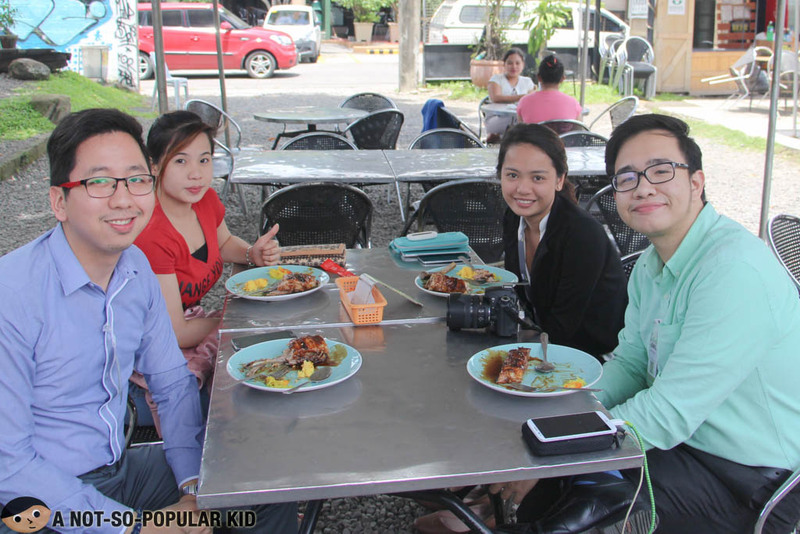 Team Visayas of the Chikiting Patrol was all satisfied. Fantastic! With this experience, I would say that Byron's popularity is well-deserved. They serve really tender, smokey and flavorful ribs that put other expensive ribs to shame. So, if you are looking for something delicious without causing your wallet much harm, you should definitely go try the ribs of Byron's!